Cost to build £182,000 (WFA Grant £37,500). 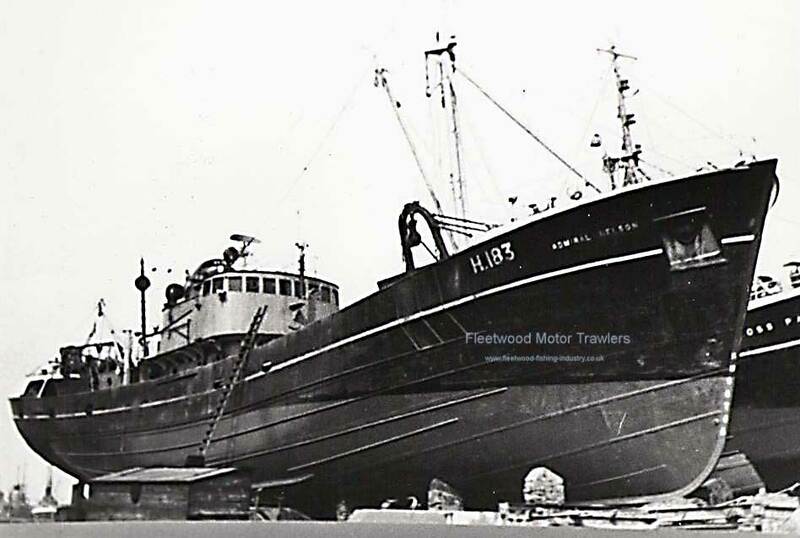 19.9.1959: Launched by Cochrane & Sons Ltd, Selby (Yd.No.1453) for Robin’s Trawlers Ltd (64/64), Hull as DAYSPRING. 29.02.1960: Registered at Hull (H183). 29.2.1960: William John Robins designated manager. 03.03.1960: Sailed on first trip to Faeroe grounds. 11.3.1960: Vessel mortgaged (64/64) to the White Fish Authority, London (A). 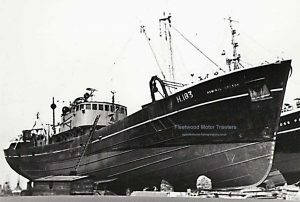 23.6.1961: Last landing at Hull laid up and offered for sale. 06.1961: Company bought by Basil Arthur Parkes, Hessle. 26.6.1961: Sailed Hull for Icelandic grounds (Sk. Ronald Slapp); to land at Fleetwood. Fishing out of Fleetwood. 15.8.1961: Sold to Parbel-Smith Ltd (64/64), Aberdeen (Boston Deep Sea Fisheries Group, Fleetwood). 18.8.1961: Basil Arthur Parkes, Hessle designated manager. 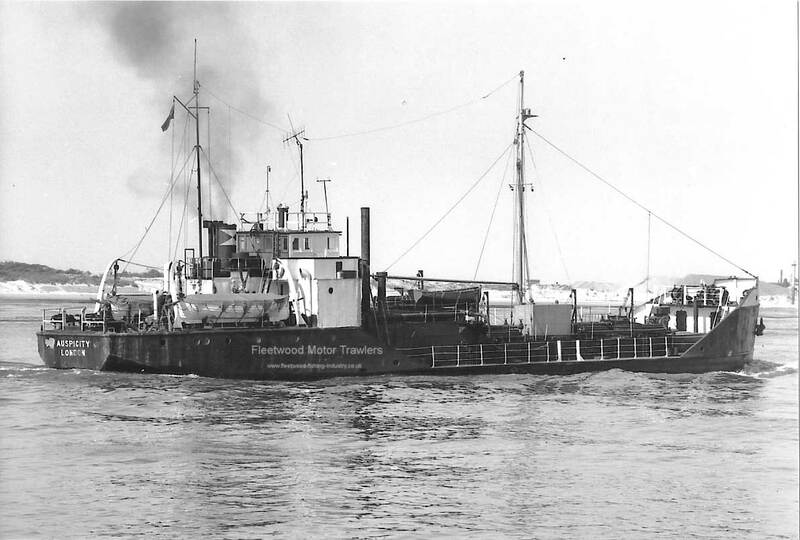 28.11.1961: Sailed Fleetwood for fishing grounds (Sk. Ronald Slapp) in fine clear weather. At 9.00 am. 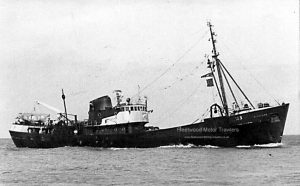 off the Isle of Man in collision with London registered motor tanker AUSPICITY (402grt/1944) on passage Greenock for Liverpool with part cargo vegetable oil; both vessels damaged. AUSPICITY, listing, put into Ramsey with port side rails and shell plates midships set in and holed. DAYSPRING returned to Fleetwood leaking in forepeak. 29.11.1961: After landing ice, placed on slip for survey and repair. Stem twisted, several shell plates set in and holed on starboard bow. Repairs effected and returned to service. 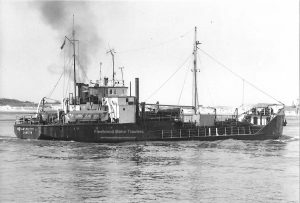 17.1.1962: Aberdeen crew left Aberdeen by special bus to take over ship and to sail to Aberdeen where she is to be based. Don Fishing Co Ltd, managing agents. 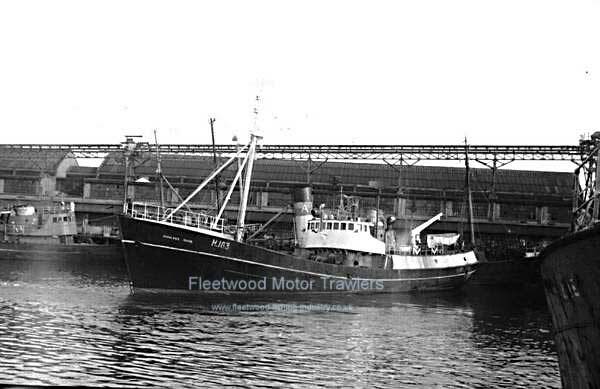 18.1.1962: Sailed Fleetwood for Aberdeen via fishing grounds. 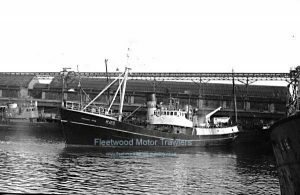 29.3.1962; Reported that after a trip which resulted in a poor return following loss of part of gear, to be transferred to operate out of Grimsby. 3.4.1962: Registered at Hull as ADMIRAL NELSON (H183) (MoT Minute RSS8/1/02487 dated 3.2.1962). 25.4.1962: Transferred to fish out of Grimsby. Boston Deep Sea Fisheries Ltd,managing agents. 26.4.1962: Vessel mortgaged (64/64) to the White Fish Authority, London for the sum of £99,344 with interest as agreed (B). 9.3.1963: Registered at Hull as PRINCESS ROYAL (H183) (BoT Minute RSS8/1/02743 dated 27.2.1963). 29.8.1968: Sold to Irvin & Johnson Ltd, Cape Town, South Africa. 10.1968: Registered at Cape Town. 1983: Vessel stripped of reusable parts and non-ferrous metals. 09.05.1983: Hulk scuttled off Robben Island, Cape Town. 5.1983: Cape Town registry closed. Note: The AUSPICITY was an Everard tanker, ex CHANT war built, straight framed and built in weldments in small workshops, brought to the shipyard and assembled; she was pretty strong as befits a ship that was expected to beach and discharge. This entry was posted in Boston Deep Sea Fisheries, Motor Trawler on 7th December 2016 by Howard Small.